As of February 2016, Hearthstone officially passed the 40 million registered players mark. While that number doesn’t give an accurate indication of how many people actively play Hearthstone on a daily or weekly basis (that would likely be a much smaller figure) it still is significant enough to justify calling Hearthstone one of the world’s most popular games. And now, following the events of last night, a good chunk of Hearthstone’s most loyal players are feeling very upset at the game and its developer. What happened last night? 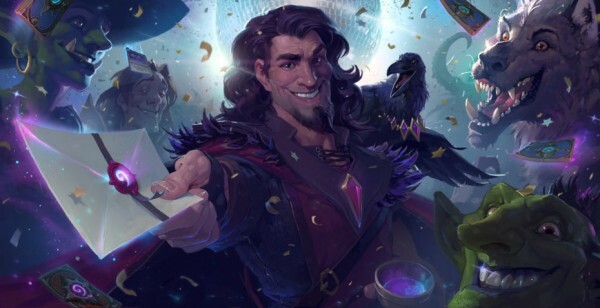 Well, developer Blizzard held a live event to reveal the remainder of the cards that would be included in the next Hearthstone expansion One Night In Karazhan. While such an event is usually a cause for celebration in the Hearthstone community, things turned sour rather quickly as fans in attendance of the event and those watching it online began to register their disgust over the quality of the cards being added to the game. While you can usually expect such releases to receive some fan backlash (you can’t please everyone), what separates this instance from previous moments of gut reaction negativity is how widespread the anger is. Even those in attendance of the event (most of which were members of the press and guests of Blizzard) were heard booing the reveals. The casters of the event couldn’t even keep themselves from making jokes at how awful many of the new cards were. The basic problem with this expansion is that, on the surface, it contributes nothing of merit to the game. Typically, these expansions are used to help diversify the styles of play and help in-game classes that are weak at the moment gain some ground. With this expansion, however, there was virtually no effort made to accomplish either of those things. Indeed, some of the weakest classes at the moment are due to receive what appear to be some of the worst cards ever created for the game. The larger issue with this release, however, is that many of Hearthstone’s biggest fans will still need to buy this expansion if they wish to stay competitive. This is due to the nature of the card game genre and the fact that if even a couple of the 45 new cards being added to the game end up being strong, those who do not own them may find themselves unable to compete at higher levels. A few clear misses aside, Blizzard has done an excellent job of introducing new content into Hearthstone up until this point. This upcoming release, however, feels like the first real instance of the developer being too eager to capitalize on both the nature of the genre and the game’s rabid fanbase despite the fact that they did not have anything meaningful to contribute. Ultimately, the expansion’s release on August 11th and the weeks that follow will quickly reveal if that is the case.